The everyday decisions you make for your business affects the amount of tax you pay. The way you handle your company’s transactions influence the results of the tax return (and the amount of tax you owe). The end-of-year financials you provide to your accountant summarizes what you've been up to in your bookkeeping file. If you are making bookkeeping errors, then it flows to your tax return where you mistakenly pay too little or too much tax. The relationship between a small business accountant and a client only thrives if both parties equally commit. The accountant should be available to answer your questions, and you must disclose significant life or business events before they take place rather than afterward. Yes, it means you should reach out to your accountant regularly and not only at the end of the year. 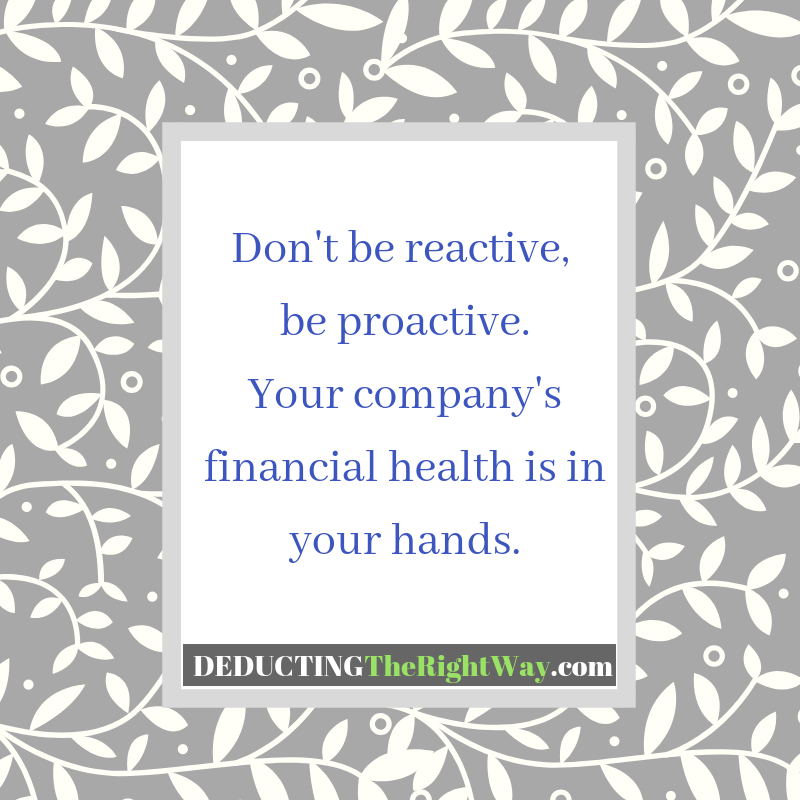 A tax accountant wants the opportunity to be proactive and not reactive. If you wait too long to start a conversation, then you are tying the accountant’s hands. Remember, the financial success of your business begins with you. TIP: You can deduct the cost of your consultations and projects with a bookkeeper and accountant as a business expense. Check out our other article DIY Small Business Bookkeeping: Time To Hire a Professional?